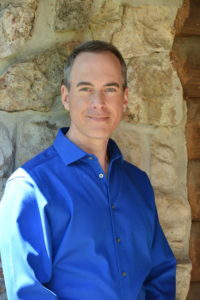 Expect the unexpected as acclaimed psychic medium William Stillman connects with the realm beyond as well as offering predictions and intuitive insights. If you are intrigued by popular TV shows like Hollywood Medium with Tyler Henry or The Long Island Medium, you will want to attend this “live” event! Bill works through divine grace and will say an opening blessing with audience members. For the first hour, he will communicate the intuitive information he receives; after intermission, the second hour is your opportunity to ask questions. *PLEASE NOTE: No one will be admitted once the gallery begins; please be seated 15 minutes before the event. A psychic reading is not guaranteed. It is recommended that participants bring pen and paper; electronic recording is prohibited. Disclaimer – The information William Stillman provides is subject to your own personal interpretation and does not constitute legal, psychological, medical, business or financial advice. Each attendee is responsible for his or her own choices and actions. Psychic readings are for entertainment purposes only.